MOBILE, AL – ESPN personality Lee Corso called Alabama head coach Nick Saban “the greatest college football coach of all time,” Tuesday at the Team Focus banquet at the Mobile Convention Center. 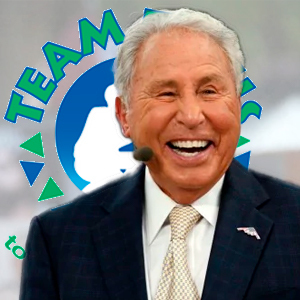 Corso and Saban were the featured guests at Team Focus’ event, and there is no doubt in Corso’s mind that Saban is the greatest of all time. Saban tied former Alabama coach Paul “Bear” Bryant in national championship wins this year with his sixth overall. Corso, who has college football coaching experience from 1969-1984, cites Saban’s win percentage (.781) and bowl game win percentage (.590) as factors putting Saban above Bryant. Despite turning 66 last season, Saban has shown no indication of retiring from coaching, and he credits his group of players for his continued success. Saban’s appearance at the Team Focus banquet is his 11th consecutive year of attendance. Team Focus is a youth mentorship program founded by Mike and Mickie Gottfried in 2001 dedicated to providing “leadership skills, guidance, Godly values and a continual relationship with a mentor” to young men who grew up without a positive father figure in their lives. For more information, tune in to Sports Drive on WNSP weekday afternoons from 3 p.m. to 6 p.m. and click here for video of the event. next post: The MVP of the Alabama A-Day will be …previous post: Dwyane Wade NAILED IT.